This article originally appeared in The Conversation. It can be found here. BP’s annual Energy Outlook report, released in February, details the results from modelling of what it sees as the “most likely” energy scenario out to 2035. In this scenario global fossil use increases by 33%, consistent with a scenario the International Energy Agency (IEA) uses to describe the trajectory towards global warming of 6C – far beyond the accepted “safe” limit of 2C. In its public presentation of the report, and elsewhere, BP admits that climate change is a problem, and that current carbon emission projections seem unsustainable, so what’s going on? 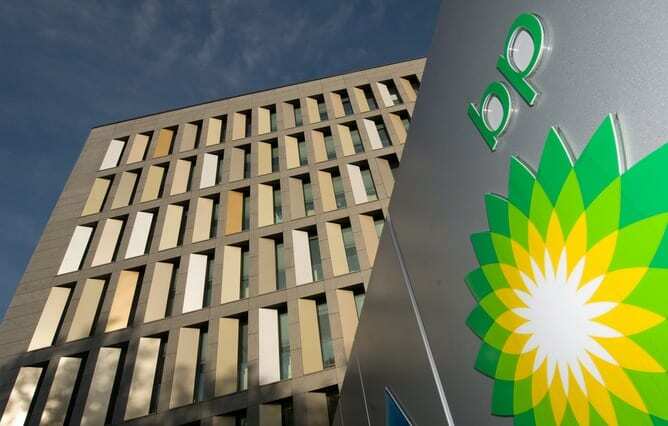 It appears that BP is working to assure shareholders that the company is “storm-proof”. 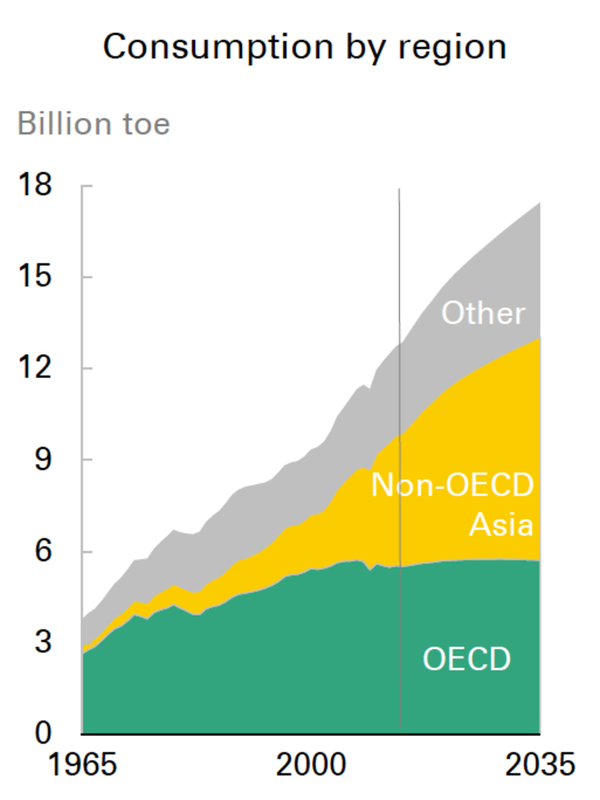 BP’s modelling is based upon some key assumptions about population growth, GDP growth per capita (particularly in non-OECD countries in Asia), and fossil fuel prices. This results in energy consumption projections that are consistent with continued growth in demand for BP’s products, primarily gas, and hence healthy future share prices and dividends. This is understandable, and we can hardly blame a company for wanting to keep their shareholders happy, but BP is walking a climate tightrope. BP’s projected increase in energy demand and associated carbon emissions would result in atmospheric CO2 concentrations in excess of 600 parts per million and a resulting warming of at least 2.5C, and possibly as much as 6C, by 2100. In 2013 Shell released its Oceans and Mountains scenarios that were similarly inconsistent with restricting warming to 2C. However BP is not unaware of the risks posed by attempts to keen warming within 2C. To manage climate policy uncertainty, a lot of big corporations operate with an assumed moderate carbon price, around US$40 per tonne or higher. This is factored into the firm’s project-ranking and decision-making process. This kind of risk management allows companies to react quickly to changes in rules by government. In his introduction, BP CEO Bob Dudley also calls for a global price on carbon, given the scale of the challenge faced by negotiators at international climate talks in Paris in December 2015. It is arguably in BP’s interest to have a carbon price of around US$40 per tonne. A standard carbon price would increase the profitability of petrol and natural gas against coal. But this only works if the gas price remains low enough. The 2014 EY Global Oil and Gas Reserves Study shows that BP has amassed significant natural gas reserves compared with other international oil companies, second only to ExxonMobil and far ahead of its main competitors in the international arena. Carbon prices of US$40 per tonne of CO2 would “likely” limit warming to 2C objective with aprobability of more than 66%. However, if global mitigation action were delayed by 10 to 20 years, a carbon price of US$40 tonne would reduce the probability of limiting warming to 2C to only 10–35%. In this scenario significantly higher carbon prices would be needed, and without significant improvements in energy efficiency, a 50% probability of keeping to the 2C limit may not be achievable. There are other problematic assumptions in the report. 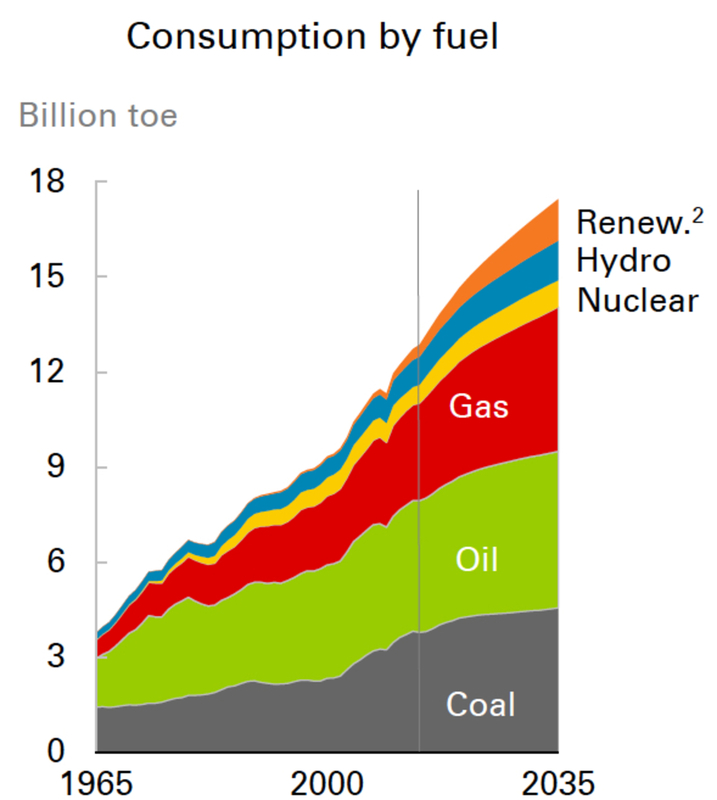 In particular there is the remarkable decrease in the rate of uptake of renewables in the future. The modelling assumes a decrease from 20% per year currently to just 10% in 2020 and less than 5% by 2035. 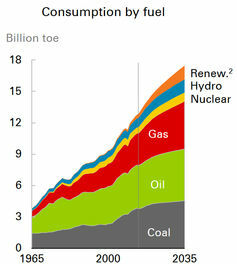 Renewables (not including hydro power) in 2035 have a share of only 7% of global primary energy. Why the expansion of wind and solar power drops off is not explained, nor does it explain why new onshore wind today is more expensive than new gas technology. This doesn’t sit well with BP’s underpinning assumption of continuous technology improvement. 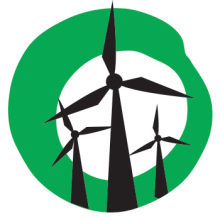 It assumes a continuous improvement of fossil fuel extraction technologies, such as unconventional oil and gas recovery techniques, yet it downplays the drastic technology improvements in the renewables arena into the future. Given that renewables are becoming increasingly competitive with fossil fuels, the switch from fossil fuels to other types of energy is going to happen very suddenly, not gradually as the market responds to price signals. In BP’s modelling, demand for primary energy in OECD countries does not decline but remains steady over the foreseeable future. This is despite the observable decline in emissions in Europe since before 1990 and the US since 2007 and even from Australia’s stationary energy sector. Improvements in energy efficient technology (LED lights, appliances, buildings), increasing electricity prices, and tightening transport emission targets would all point to lower emissions into the future. It’s also striking that oil remains the dominant transportation fuel until 2035 and electrification of transport is hardly mentioned. Curiously, the report also hardly mentions either carbon capture and storage or hot-rock geothermal energy. Both of these low-carbon energy technologies should be on the radar of a company like BP as they would make use of its considerable experience and infrastructure. This omission could be interpreted as an admission that carbon capture is not expected to be a major player before 2035, as was hinted by Spencer Dale, BP’s group chief economist in the Q&A session of the Outlook presentation. Will there be continued growth in demand for fossil fuels, as forecast by BP? In 2014 demand for coal in China did not increase as in previous years, despite plunging coal prices that have now hit their lowest level since 2007. Whether this is an anomaly or sign of a significant shift is yet to be seen. The BP Energy Outlook calls into question the kind of role BP and other international fossil fuel companies are playing in adapting to a carbon-constrained future. Oh, to be a fly on the wall at their strategy meetings. Authors: Roger Dargaville, Annabelle Workman, Changlong Wang, Dimitri Lafleur, Dylan McConnell, Martin Wainstein, and Ryan Alexander.